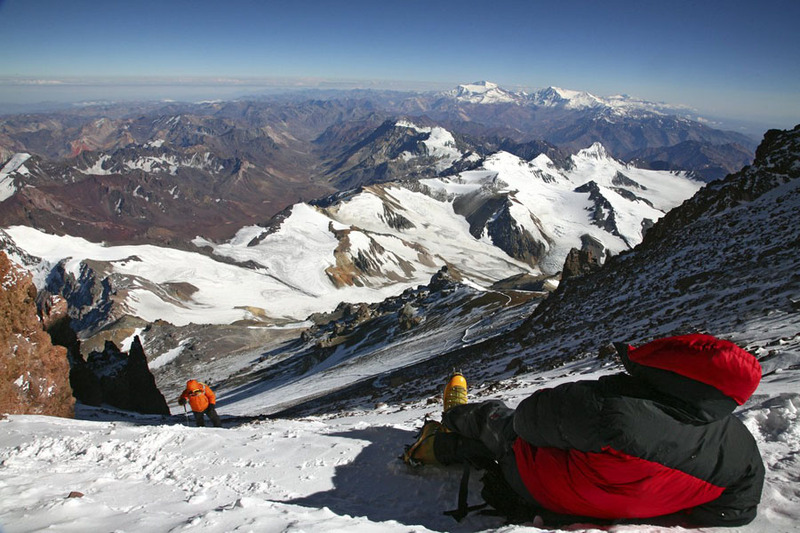 An exhausted climber rests and waits for a team member on summit day high on Aconcagua, the highest mountain in South America. The body is deprived of oxygen at this level, about 6,600 feet, resulting in extreme lethargy. Photo © copyright by Johnathan Ampersand Esper.